The Obama administration plans to offer new incentives for solar and wind energy in its plan to cut power-plant emission as a way to counter delaying the initial deadline by two years, a person familiar with the rule said. The renewable incentives will allow deeper cuts in carbon emissions in the long term while giving more flexibility to states that must implement the rule, said the official who sought anonymity before an official announcement. 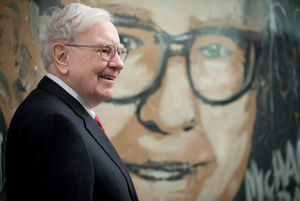 This entry was posted in NewsBlog and tagged Bloomberg News, Environmental Protection Agency (EPA), EPA carbon rule, Mark Drajem, Nebraskans for Solar, President Obama on July 31, 2015 by Helen Deffenbacher. By Senator Catherine Pugh. 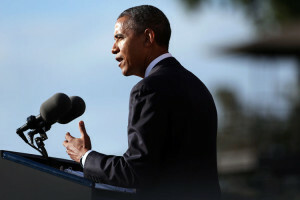 Published on Huffington Post’s Generation Change. For far too long, working-class families have been left out of the solar revolution in the United States. 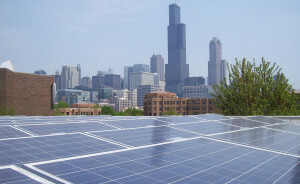 Black elected officials from across the country, including many members of the National Black Caucus of State Legislators (NBCSL), have been among the most vocal advocates for more fairness and inclusiveness in solar programs, taking every opportunity to highlight how the poorest among us are poised to benefit most immediately and profoundly from greater adoption of solar power . 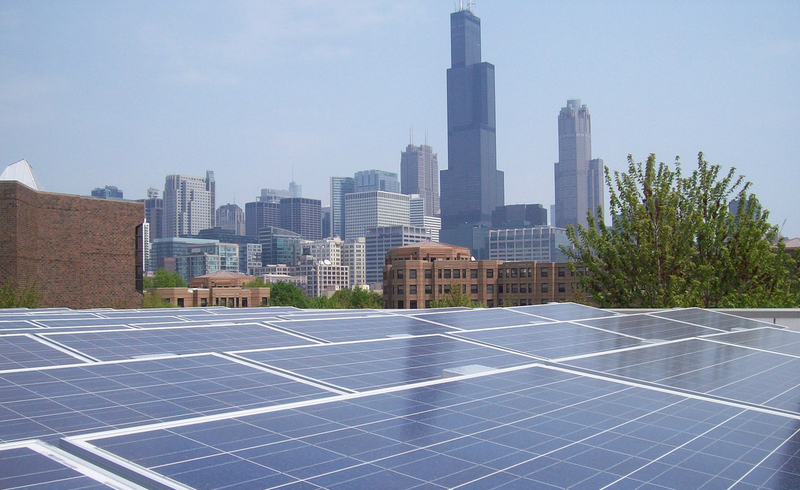 . . To date, the benefits of solar power have tended to accrue primarily to wealthier families, while low-income families continued to struggle with rising energy costs. Many low-income families face a “heat or eat” dilemma, rendering them “energy insecure” and facing decisions, like whether to keep the lights on or food on the table, that nobody in America should ever have to make. 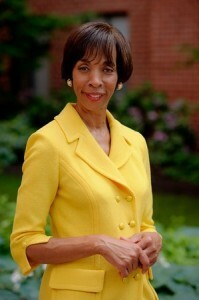 This entry was posted in NewsBlog, Solar for Lower-Income Households and tagged Senator Catherine Pugh, solar as economic development, solar energy access for all, solar for low-income families on July 29, 2015 by Helen Deffenbacher. 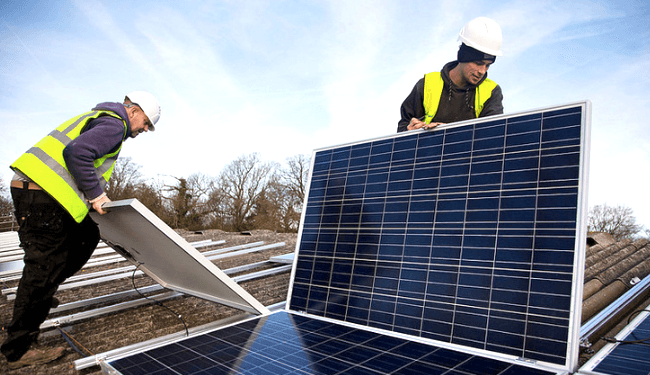 Introduction to Renewable Energy (RE100) is an online course for those who wish to learn the basics of renewable energy – including where it is found, how we can harvest it for use in our homes, and how it can help ease pressures on the environment. You will not become an expert through this course, but you will get to know renewable energy in its many forms – helping you to decide whether solar, wind, or other technologies are right for you. 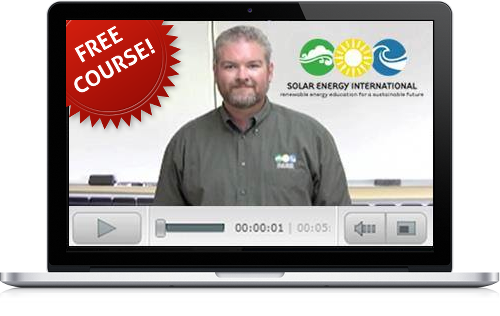 Over 35,000 people from all over the world have taken the first version of the class since it was launched; the updated version went live in October, 2014 and takes a fresh look at the latest trends and developments in the renewable energy industry. This entry was posted in NewsBlog, Solar Energy Education and tagged free online renewable energy courses, Nebraskans for Solar, Solar Energy International (SEI) on July 29, 2015 by Helen Deffenbacher. 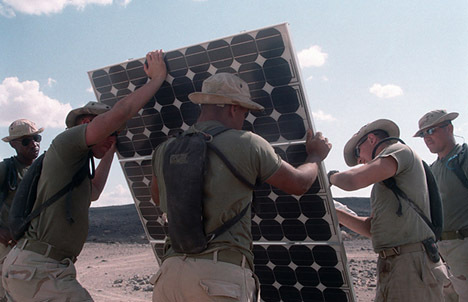 Marines from Marine Wing Support Squadron 371 (MWSS-371), Marine Corps Air Station, Yuma, Arizona, build a solar panel while performing humanitarian assistance operations in Djibouti, Africa. Solar Energy International (SEI) is pleased to announce a truly inspirational scholarship and outreach program for veterans and active duty military personnel. SEI has experienced a dramatic increase in recent years of veterans who wish to attend SEI training and are looking for funding opportunities to take full advantage of all that SEI has to offer. As an organization, we believe in the opportunities that renewable energy can afford our country, such as energy independence and sustainable use of our country’s natural resources. With that in mind, we also honor those who have served our country and who are choosing to follow up their military service with a new kind of service: service in the renewable energy sector. This entry was posted in Nebraska / Midwest News, NewsBlog, Solar Energy Education and tagged Nebraskans for Solar, SEI’s Active Duty Military & Veterans Career Transition Program, Solar Energy International (SEI) on July 29, 2015 by Helen Deffenbacher. Teachers Andrew Richard, left, of Black River Falls High School and Andy Udell, right, of Janesville Craig High School set up a solar panel system with instructor Joel Shoemaker earlier this month at the Wisconsin Solar Educator Academy at Madison Area Technical College. Scott Anderson has big plans for his physics students at Juda High School. While they have already served as project managers for the installation of solar panels on the school roof, Anderson wants to teach them how to do the work themselves. He figured a good start would be the recent Wisconsin Solar Educator Academy at Madison Area Technical College, where he and other teachers got hands-on training in solar electric photovoltaics. This entry was posted in Nebraska / Midwest News, NewsBlog, Solar Schools and tagged Madison Area Technical College, Nebraskans for Solar, Pamela Cotant, teacher training in solar, Wisconsin Solar Educator Academy, Wisconsin State Journal on July 29, 2015 by Helen Deffenbacher. Solar Habitat for all: Model for Nebraska? Pacific Gas and Electric Company (PG&E) is adding solar to their grid, and doing so in many ways. The company announced a $1 million commitment to install rooftop solar on 79 homes in the Habitat for Humanity program. The funds will benefit 18 different Habitat for Humanity local affiliates throughout Northern and Central California, from the Mendocino Coast to Merced. This entry was posted in NewsBlog, Solar for Lower-Income Households and tagged FierceEnergy, Habitat for Humanity, Nebraskans for Solar, PG&E’s Solar Habitat Program, President Obama’s initiative to solar power low-income housing on July 27, 2015 by Helen Deffenbacher.